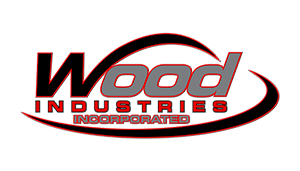 Wood Industries is one of the best air compressor manufacturers in the industry. They go above and beyond to keep their customers happy, and they have always met the needs of myself and thousands of other customers. “Great Mid-Level Compressor! – I spent a month researching compressors for my garage, the driving force being my desire to repaint my ’67 Belvedere convertible. I wanted a compressor that could handle multiple air tools for my project – sanders, cutoff wheels, paint guns, etc. However, I didn’t’ want to break the bank. This compressor (C5160V1) has exceeded my expectations. I have had it for about a month, and it has handled everything that I have thrown at it. In addition, it is much quieter than I thought it would be. "We have been building spray foam rigs for more than 8 years, and in that time we have tried almost every compressor out there. We started using Wood Industries compressors about three years ago and we have been very happy with them. Wood Industries really understands the needs of a Spray Foam Contractor, and that makes our jobs much easier."